Get free training and resources to help you generate ideas for enhanced workflows. Make stunning maps & presentations. From sharing resources to customizing training, we’re committed to your success. Whether you’re a customer, between jobs, or a student, we offer great free training programs at no cost to you. Come to our top-of-the-line training center, learn online, or host us at your office. Courses are available for most oil & gas disciplines for geoLOGIC basinINTEL -- powered by BetaZiTM, geoSCOUT & gDC, including gDCweb. Customer Experience Coaches are committed to help you achieve maximum productivity with optimal workflows. Select a category below to get help deciding what course is right for you, or choose to view all training courses. Self-booking makes it easy to quickly select a course and convenient date. ﻿Want to see all our classes? Not sure what class to take? Choose a product. How familiar are you with geoSCOUT? basinINTEL, our newest product addition, is a revolutionary software that can help you maximize production, make sound acquisition decisions and increase profits. Participants will learn about our partnership with BetaZiTM, get an overview of the forecasting technology and a demo of the product focusing on workflows that will make the forecasting process a lot easier. We don't typically schedule regular training classes for this unique product, but we'd love to arrange a custom session for you. You must see this one of a kind software in action, so don't miss out! Note: This course is offered by request only. Learn the basics of geoSCOUT in an interactive class format. Understand how geoSCOUT works to help effectively streamline your workflow. By the end of this course, participants will be able to navigate the Well Ticket, search for wells in several different ways, use a variety of mapping tools, and view and extract data from geoSCOUT. Come and see us to learn how geoSCOUT can work for you! While we offer numerous “Getting Started” courses, they cover much of the same material, so you only need to take one. If you need extra help after taking a Getting Started course, we are happy to book you into a one-on-one session with our instructors. This interactive introduction to geoSCOUT is designed for Engineers. In addition to learning the basics of geoSCOUT, by the end of this course participants will also be able to navigate the Production module, search for wells in several different ways, and view and extract Production data. 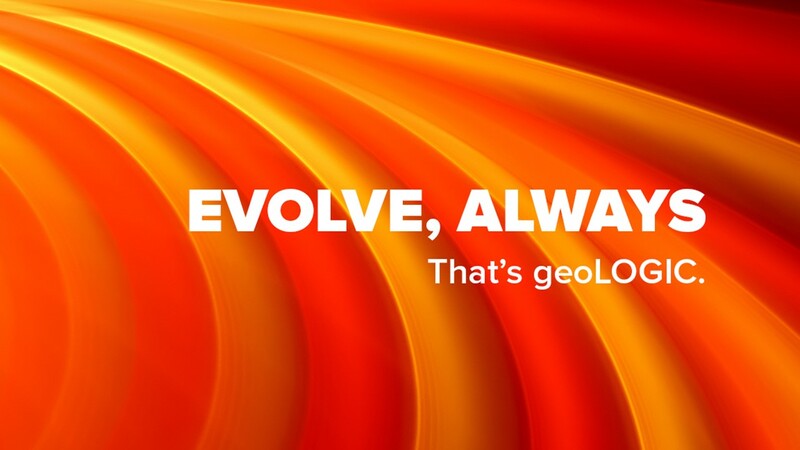 This interactive introduction to geoSCOUT is designed with Geologists in mind. In addition to learning the basics of geoSCOUT, by the end of this course participants will also be able to load logs, pick formation tops and work with repeating tops, and create a User Hierarchy for a shared database. This interactive introduction to geoSCOUT is designed for Landmen. In addition to learning the basics of geoSCOUT, by the end of this course participants will also be able to navigate the Land module, post, export, and search Land data, select wells for selected agreements, and import Land and Surface Activity Layers. Learn to use geoSCOUT to look at surface features. In addition to learning the basics of geoSCOUT, by the end of this course participants will also be able to work with the aerial and satellite online layers, review, search, and post Pipelines & Facilities data, and import Surface Activities. Learn how to quickly browse and map a company’s Land and Well Assets. In this course, participants will learn to navigate the Map Window, search for competing Land Agreements in several different ways, and analyze ownership and LMR. In this course, participants will learn and practice how to query on production data, view production plots for individual wells as well as groups, create decline curves, post production data and create a bubble map. Prerequisite: Any Getting Started with geoSCOUT course. Learn to further apply the basic concepts from Getting Started for Engineers to the geoSCOUT Reserves and Material Balance modules. By the end of this course, participants will be able to create a project based on a play, work with group production and perform decline analysis, and search for fluid analysis and view supporting documents. Learn the ins and outs of the geoSCOUT User Database and Cross Section tools. By the end of this course, participants will be able to create and import new fields in the User Database, build a customized log viewing template, and annotate and print a Cross Section. In this seminar, participants will learn to use geoSCOUT to calculate complex working interest values and develop scenarios to forecast your LMR, allowing you to develop the best strategy for your next deal. Prerequisite: Experience with geoSCOUT is required. In this seminar, participants will learn how to use LAS in geoSCOUT and manage and manipulate mnemonic tables. By the end of this seminar, participants will be able to search and browse available LAS curves, auto-load LAS curves using a template, perform cut-off analyses on curves, and save these results in a database. In this session, participants will have an opportunity to work with the only comprehensive database of digital completions and frac data for western Canada in a variety of geoLOGIC products. Participants will learn how to capture, sort, filter and group wells by different criteria such as detailed proppant, fluids, and stage data, and send the resulting wells to Production Analysis. At the end of the session, participants will see how comprehensive frac data can help plan logistics and define costs and risks with E&P planning, acquisitions, divestitures, and more. We don't typically schedule regular training classes for this unique data set, but we'd love to arrange a custom training session for you! Prerequisite: Experience with geoSCOUT, gDCweb or Well Completions and Frac Database is required. gDCweb gives you access to the premium quality data you need when you need it. 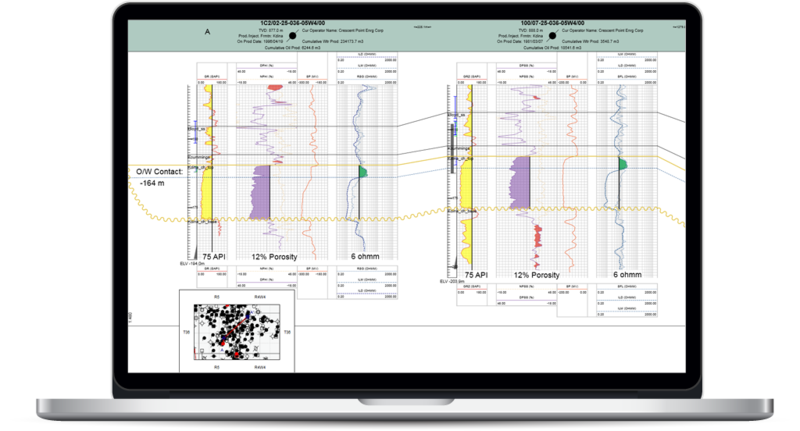 Its user-friendly, web-based interface gives you convenient access to geoLOGIC’s industry-leading data whether you’re on the road, in the field, or at the office. In this seminar, participants will learn how to search for well, land, and production data as well as practice creating a custom dashboard with a snapshot of what's happening in their area of interest. At the end of this session, participants will be able to create company well and land lists to share with colleagues across their company and view tour reports, core analysis documents, and search for them by document type.